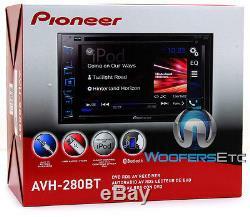 AVH-280BT - Pioneer In-Dash 2-DIN 6.2 Touchscreen DVD / MP3 Car Stereo Receiver with Bluetooth and iPod/iPhone Control. 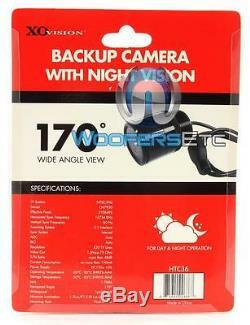 XO Vision Backup Camera with Nightvision. 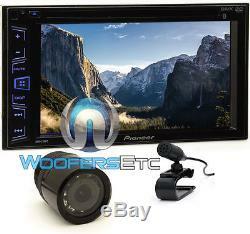 Pioneer AVH-280BT In-Dash A/V Receiver. Features the responsive, powerful and intuitive NEX user interface. Peak: 50 watts x 4 channels. RMS: 22 watts x 4 channels, 5% THD. CEA2006: 14 watts x 4 channels, <1% THD. MP3 ID3 Tag Display (Title/Artist/Album). 6.2 TFT Active Matrix Driving Display. On/Off Dimmer Setting & Brightness Control. Resolution: WVGA, 800 x 480. Signal to Noise Ratio: 91dBA. Dimensions: 7" W x 3-7/8" H x 6-1/2 D. Android Audio integration via Bluetooth. Devices with Ice Cream, Jelly Bean, Kit Kat or newer operating systems are not supported through the USB (Charge Only) , must connect via Bluetooth. Compatible with Apple iPhone 6/6+ and iOS 8+ software. IPod/iPhone with Lightning Connector requires standard USB to Apple Lightning connector. IPod/iPhone with 30-Pin Connector requires Pioneer CD-IU201V. The Pioneer CD-IU201V will take up both the 3.5mm Input and USB Input. Available Sources: Audio & Video. 24-bit Digital to Analog Converter. 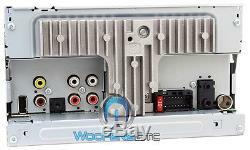 3.5mm Rear A/V Auxiliary Input. 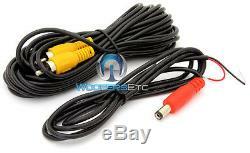 CD/CD-R/RW, MP3/WMA/AAC/WAV and AVI/WMV Playback. 7 preset equalizer curves: S. Bass / Powerful / Natural / Vocal / Flat / Custom 1 / Custom 2. ±12 dB Gain at 100Hz / 315Hz / 1.25 kHz / 3.15 kHz / 8 kHz. Selectable-Point High-pass Filter and Low-pass Filter. HPF: 50 Hz / 63 Hz / 80 Hz / 100 Hz / 125 Hz, 12 dB/octave. LPF: 50 Hz / 63 Hz / 80 Hz / 100 Hz / 125 Hz, 18 dB/octave. +6 dB to -24 dB variable gain. Selectable Phase: Normal / Reverse. Variable Bass Boost: 0 - +12 dB. 2 Sets of 2V preamp outputs (front, rear/subwoofer). Built-in Bluetooth technology for hands-free talking and audio streaming. Bluetooth version 3.0 +EDR certified. A2DP: Advanced Audio Distribution Profile allows high quality audio to be streamed from an audio device to the car stereo. AVRCP: Audio/Video Remote Control Profile supports basic remote control functions (play, pause, etc) via Bluetooth. SSP: Secure Simple Pairing, this improves the pairing experience for Bluetooth devices, while increasing the use and strength of security. Works with most Bluetooth enabled cell phones. Includes an external wired microphone for clear, convenient, distortion-free talking. Vertical Sync Frequency: 60 Hz. Scanning System: 2:1 Interlace. S/N Ratio: more than 48dB. Current Consumption: no more 150mA. Minimum Lumination: 1.5 Lux. You will be issued a Return Authorization Number. In order to maintain an inventory of 100%, Brand New, A-Stock, untouched products, all sales are final. We ask that you please be sure you are ordering the correct product. The item "Pk PIONEER AVH-280BT 6.2 TV DVD CD MP3 USB BLUETOOTH STEREO + BACKUP CAMERA NEW" is in sale since Wednesday, August 05, 2015. 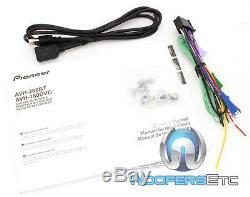 This item is in the category "Consumer Electronics\Vehicle Electronics & GPS\Car Audio\Car Audio In-Dash Units". 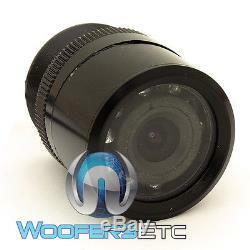 The seller is "woofersetc_outlet" and is located in Los Angeles, California.